It’s getting to the end of January.. I feel fat, unmotivated and to top it all off I’m too poor to treat myself to make things better. Now we all know a trip to New York would be nothing without a little bit of shopping… and first on the agenda was Sephora since we don’t have it in the UK. Where has November gone!? I can’t believe tomorrow means the official countdown to Christmas, I’m so excited but so not ready. I’m hoping to do all of my Christmas shopping in New York next week! Here’s what I’ve been loving this month..
LOVE ME BEAUTY BOX SUBSCRIPTION. I’ve signed up to a beauty box subscription and so far so good! It took me a while to chose from all of them and after reading a load of blog reviews I decided to give Love Me Beauty a go which I found on Instagram. I’ve had similar subscription boxes before such as Graze and have found that surprises are sometimes disappointing. You find yourself with the same things each month and a never ending stash of hand creams. So, Love Me Beauty stood out for me because you get to chose exactly what you want in your package. It’s no secret that I love Autumn. The clothes, the food (pumpkin spice everything is acceptable) and of course the make up. 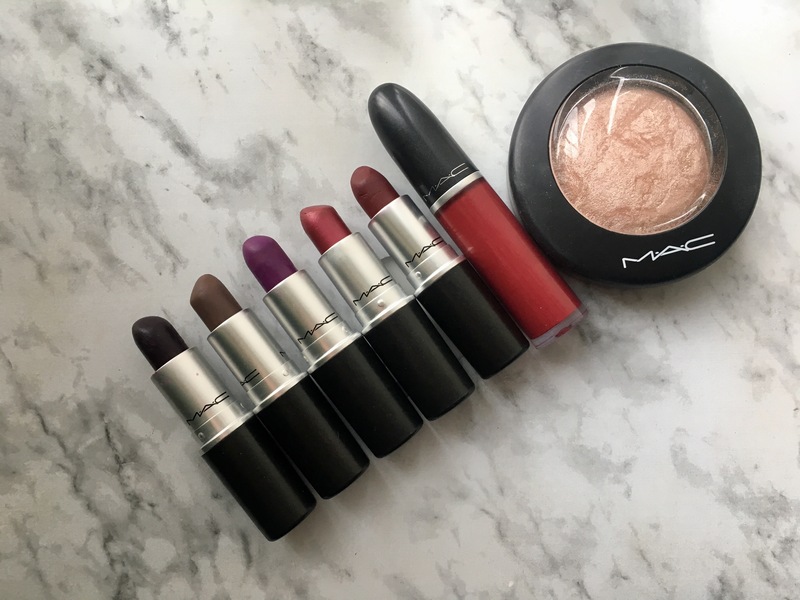 Many people have been asking me what lipsticks I use so I thought I would put together a short post of my favourite Autumn colours which all happen to be from MAC. After months of stalking Kylie’s Instagram, I managed to get my hands on a lip kit. It was a Friday night and I had just been paid (bonus). I was scrolling through Instagram when her cosmetics page popped up telling me the launch of Kristen was about to go LIVE. I quickly logged onto my account (which you should definitely set up beforehand as it saves so much time) and popped it in my bag. There was an online queue for about 5 minutes and then it sent me to the payment page. I couldn’t believe it!